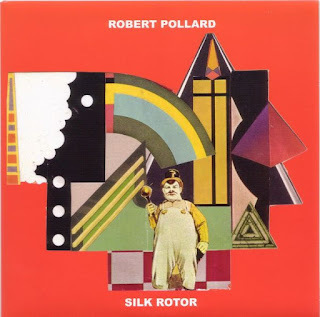 Released 3 weeks prior to Robert Pollard's LP We All Got Out of the Army, in 2010, this 7'' contains the single for "Silk Rotor" on the A-side, and two pretty notable, yet starkly different b-side compositions. Orange vinyl to boot! Silk Rotor- Same version on We All Got Out of the Army. Click there for review. Fear Of Heat- 4 Snails crawl, dirge rocker with slow volume swells. Post-punk. Industrial, even? Pretty goddamn cool. A Pollard solo mood piece that works, thanks in part to smart production by Todd Tobias. Rare Hazel Japan- 5 In complete contrast to "Fear Of Heat," this b-side track is bouncy, melodic, if not somewhat whimsical! What the hell? And it's catchy as a barbed hook, in what feels like an effortless attempt. Sounds Elephant 6 inspired. Whoa!